My neighborhood has a history of getting into the spirit of Halloween. Some houses even have decorations that take over the entire front yard. 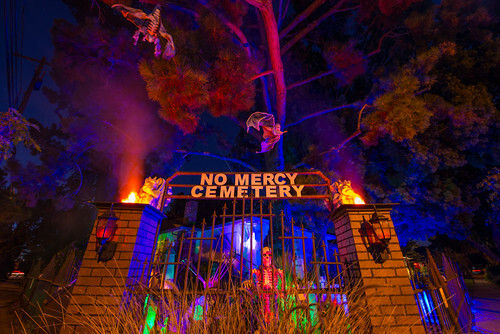 I particularly like the No Mercy Cemetery with its spooky skeleton standing guard!